We know that craft beer has been all the rage in the UK over the past decade, but recently we have seen a new fad taking the nation by storm – craft chocolate. In this day and age people are much more likely to try to support and help startups, and businesses that offer something unique and unusual. We have seen big successes in the past for craft beer and coffee, and now it seems that the chocolate industry has joined in as well. This is a highly lucrative global industry, and we all know how much the UK loves chocolate. If you want to try something unique and with a bit of a twist, this is definitely something you’re going to want to find out a little more about. Smaller businesses are becoming much more profitable these days, and that’s why industries like this are growing in stature and popularity. The good news for us chocolate lovers out there is that the growth of these bespoke chocolates is giving us plenty of new treats to experience, and more ways than ever before to quell those delicious cravings! The idea of ‘craft’ anything is more than enough to put a smile on our face and a song in our heart. But that’s even more the case when it comes to all things chocolate. So, it’s fair to say, you can count us in! We know you don’t need a reason to read a chocolate-related post, but this one is great for finding out more about the new chocolatey craze sweeping the UK! Well, the first question you’ve probably got is to ask what exactly craft chocolate is? The first thing to keep in mind is that it is completely different to any chocolate you might have had before, or since. It is chocolate that is made and produced by using only the best and finest ingredients out there. It turns the method of making and producing chocolate from a process into an art form. A craft. It focuses on the origin of the chocolate, the skill and prowess of the maker, and utilising the natural flavour of the cocoa beans. This is such an intricate and important process that you are really getting to enjoy something unique and different. This is what separates this kind of chocolate from the normal chocolate you get on a day to day basis. As with any industry, you always expect there to be big names who are leading the way in brand awareness and product innovation. Well, in the case of specialist chocolate, we have to say there are only really a few that are worth your time and money. You don’t want to settle for average, you want the absolute pinnacle of what makes the chocolate world great! Accept no substitutes, and ensure that you are getting the best return on investment you possibly can. We think that some of the names you need to be looking out for include Pump St Chocolate, Duffy’s, Solkiki, Land, and the Seaforth Chocolate Co. These guys represent the pinnacle of artisan chocolatiers in the UK, and you definitely need to look out for their products. 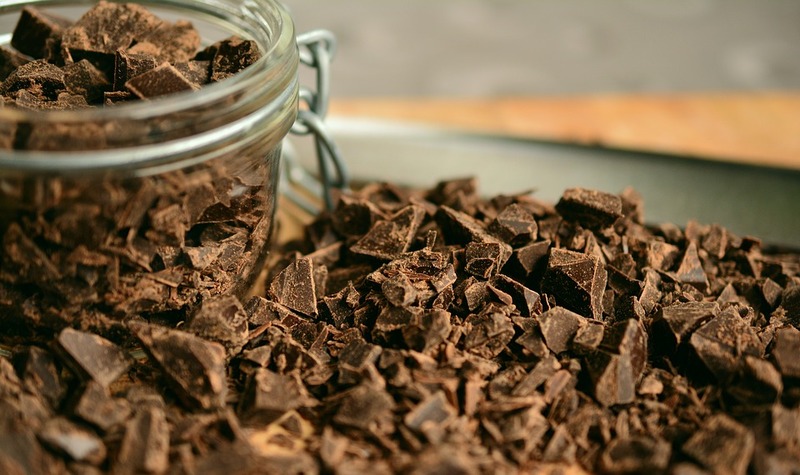 This is exciting news for chocoholics as it could well mean a shake up in the industry. No longer do you have to settle for second-rate chocolate, and it’s clear many chocolate makers are going to be upping their game in a bid to compete with these artisan providers. This could well see the birth of a brand new, reformed chocolate industry, with a much bigger focus on sourcing the right cocoa beans, and taking the time to craft the perfect chocolate indulgence. You might well also see more choice offered by chocolate companies up and down the land, and this can only ever be a good thing, right?! There is also a hope that, as was the case with craft beer, the success of the emerging market will inspire others to open chocolate boutiques, and launch their own chocolate startups! Now, if this seems like a slice of heaven to you you probably have an extra sweet tooth, just like us. And, like us you’re probably longing to know where you can find and get hold of the very best chocolate money can buy. Well, there are a number of options open to you, with the main one being online. There are plenty of websites around these days, as well as online marketplaces where you can find delicious chocolates like this. You might also decide you want to go visit chocolate stores across the country to see, smell, and sample the products up close and personal. We would also recommend keeping your eyes peeled for events showcasing craft chocolates, such as market stalls and taster sessions. These proved highly popular and successful among craft beer audiences, so there is no reason why craft chocolates should not fare the same. So, the big question to ask yourself now is why you should choose craft chocolates? What can they provide you with that normal, regular, every day chocolates cannot? Well, there are many things that would make us embrace and indulge in the world of crafty chocolatey goodness! For one thing, you get a much better and tastier product. More time has been spent ensuring that exactly the right amount of work has gone into every last gram of chocolate. You also have to remember that there is a lot of man hours involved, and this really shows time and effort. It’s a product that is crafted (get it) exactly for chocolate lovers, and this is something you can’t put a price on. Furthermore, many craft companies have extras incentives that encourage us to get involved, such as philanthropy, fair trade, and ethical business practices. Investment is another possibility, and could see you at the forefront of cutting edge chocolate ideas! One of the best things we can do these days is to work towards supporting small businesses, because they are the future of the country. A craft chocolate business is definitely one we would love to see grow and progress. Think about how many different flavours and products we would be able to sample as a result. The fact is that this can only happen if we go out of our way to support these small businesses that are responsible for sourcing and making these bespoke chocolates. More and more of these artisan brands are going to be popping up all over the country, and the time to get involved is now. Think about how much your friends and family are going to love you once you have introduced them to these brand new craft chocolates! As you can see, there is a lot to think about in the arena of craft chocolates. You have to make sure you do as much as possible to indulge in the world of craft chocolates. This is a growing industry that is taking the UK by storm, and is likely to be much more widespread in the coming years. It’s good to keep ahead of trends in the market, and this is a growing industry that is most definitely worth your time. If you have a sweet tooth, and a craving for all things chocolate, you need to get involved with craft chocolates as soon as you can. They will change your life, and your perception of the world of chocolate forever!